Flourishes are decorative plant elements, which have been used in typography and design for centuries. The Growing Flourishes Collection template for After Effects allows you to easily create complex, "growing" flourish animations for your video. 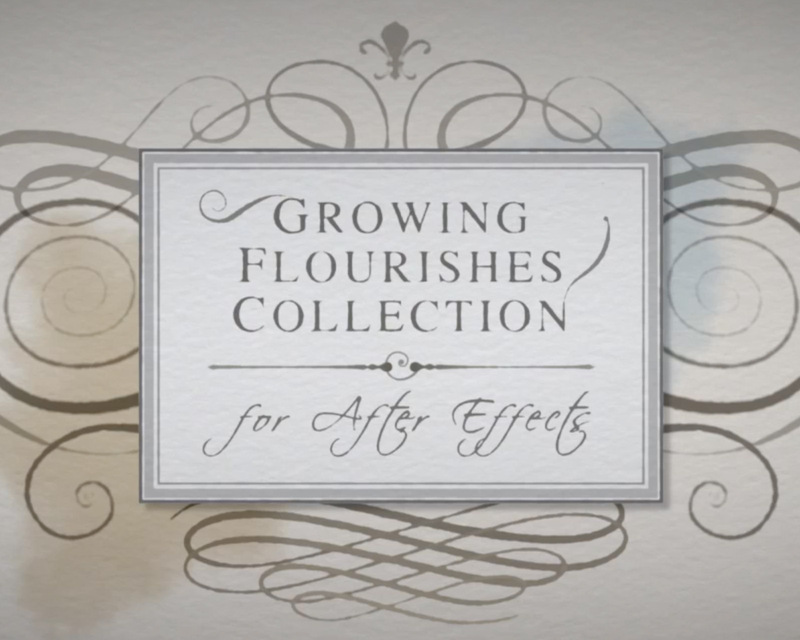 Watch the Demo Video for Growing Flourishes Collection. The Growing Flourish Collection for After Effects allows you to build unique floral and plant designs with the included vines, grasses, leaves, branches, and other growing elements. Or, simply plug in your text for one of the five finished title animations. There are a variety of elements to choose from, with smooth natural-looking growth, and best of all - completely customizable! Includes copy-and-paste effects for changing the look or behavior of growing elements.